Colombia. Morocco. Ecuador. Ghana. Italy. These are a few of the places across the globe where peace studies undergraduates spent their summers studying topics such as refugee integration and peace treaty implementation and learning how organizations work with local communities to address complex problems. Seniors Claudia Serrano and Francesco Tassi were among several recipients of Kellogg/Kroc Summer Research Grants. These grants, which are administered by the Kellogg Institute for International Studies and also supported by the Kroc Institute, provide funding for students to conduct independent research abroad on topics related to the Institutes’ respective missions. Serrano, who is double-majoring in economics and sociology with minors in both peace studies and international development studies, traveled to Colombia to explore how companies were reacting to the prospect of re-integrating ex-guerilla members into the workplace. As part of her research, she asked companies in the capital city of Bogota about their intent to hire ex-guerillas and interviewed several agencies to learn how the re-integration process has been envisioned. Tassi is majoring in international economics with a supplementary major in peace studies and a minor in international development studies. His research took him to six small towns in five different regions of Italy, where he worked with local administrations in order to research their System for the Protection of Asylum Seekers and Refugees (SPRAR). 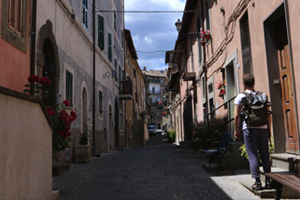 To gauge the level of integration in each town, Tassi surveyed both the refugees in the SPRAR as well as the town’s Italian citizens. He interviewed refugees in French, English and Italian, and conducted other interviews with integration teams, local businesses, religious leaders and local governments. He hopes that this research will ultimately help him identify the challenges and best practices for integrating refugees in Italy, and how these practices – as well as how they are perceived by Italian citizens and refugees – change from region to region across the country. While Tassi and Serrano opted for independent research projects, other peace studies students pursued summer internships abroad through Kellogg Institute Summer Entrepreneurial Internships. These internships provide students with funding to work with non-governmental organizations and policy institutes throughout Africa, Asia, Latin America and the United States. Karina Chamorro is a political science major with minors in peace studies and education, schooling and society. 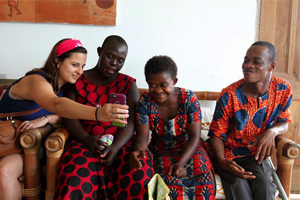 She spent her summer in Ho, Ghana, working with Kekeli Foundation, an organization that advocates for the rights of persons with disabilities through a variety of programs and services. In her internship, Karina assisted the organization with its day-to-day operations and special programs, attended an inclusive education conference, and studied technologies and communication methods that children with disabilities can use in the classroom and at home. Beth Vander Hoek, a political science major and peace studies minor who is part of the Glynn Family Honors Program, also travelled to Africa, selecting a placement in Morocco through the international organization WorldTeach. 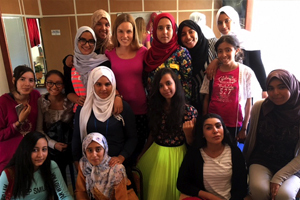 As a volunteer English teacher, she spent two weeks teaching in Rabat and then moved to Sidi Moumen, a former shanty town in Casablanca, for her remaining six weeks. She taught at a center called the IDMAJ Neighborhood Association, which supports at-risk kids and vulnerable youth through artistic activities, language tutoring and other programs. Allison Hidalgo used her internship position to help integrate her interests in business, peace studies, development and social entrepreneurship. 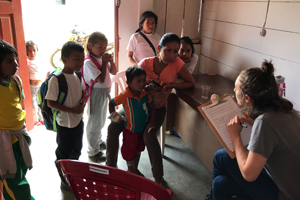 A junior majoring in finance with a supplementary major in peace studies, she spent eight weeks in Archidona, Ecuador, working with Fundación Runa. This organization works to protect the rainforest ecosystem while also helping indigenous Kichwa farmers create greater market value for their goods. Her main projects involved helping a Kichwa-owned business measure its impact on stakeholders and conducting surveys and interviews with the indigenous, Kichwa farmers in order to understand the role of women in the production of guayusa, a local tea. Originally published by kroc.nd.edu at kroc.nd.edu on September 25, 2017.